Best Films On Life Of 'Mahatma Gandhi' ~ " Century Fox Post "
Mahatma Gandhi changed the course of the future of our country with his ideas of non-violence and world peace. The legend lent inspiration to many films. Today as we mark his birth anniversary we look at some of the best films that document the life of this great leader and celebrate his ideas. Gandhi (1982): Famous film critic Jack Kroll stated, "There are very few movies that absolutely must be seen. Sir Richard Attenborough's Gandhi is one of them." The film garnered maximum attention for its powerful performances and brilliant cinematography. 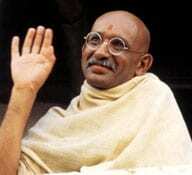 Actor Ben Kingsley’s incredibly accurate portrayal of Gandhi completely astounded the audience. Hundreds and thousands of extras were hired for the crowd scenes that made the setting appear very real. This biographical classic based on the life of Mahatma Gandhi is undoubtedly the best and the most important film made on him. Winner of eight Academy awards in total it is hailed as one of the finest films ever made. 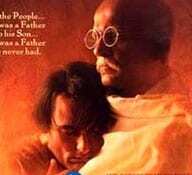 The Making of a Mahatma (1996): Based on the book The Apprenticeship of a Mahatma by Fatima Meer, this film documents the life of Gandhi as an ordinary family man whose extraordinary actions transformed him into a leader of millions. The film is about all that Gandhi had to go through to become the monumental Mahatma that he is remembered as today. 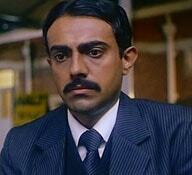 According to director Shyam Benegal, "this is a more intimate story. It is concerned with so much that had to change in Gandhi before he became the Mahatma." The film shows us a more human side of Gandhi, who made mistakes, feared, struggled and failed but was adamant to bring about a change. Hey Ram (2000): Set in the backdrop of the partition of India and the Hindu Muslim riots, this is the story of a simple young man Saket. When his innocent wife is raped and murdered by a group of Muslim goons he is overcome with grief and then hatred. He plans revenge and joins a Hindu mlilitant group and plans to assassinate Gandhi as they believe he is responsible for partition of the country and favors the Muslims. Saket then embarks on a journey of violence and hatred only to see more violence and pain. When he loses his own friend, Amjad Ali Khan, amidst all this he realises that fighting on grounds of religion is senseless. 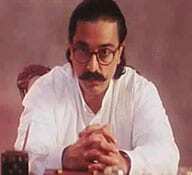 The film starred big actors like Kamal Hassan, Shahrukh Khan, Rani Mukerjee and Nasseeruddin Shah (as Gandhi) but was not well received by the audience because of its controversial nature. 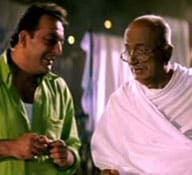 Lage Raho Munnabhai (2006): This is the story of Happy go lucky Munna who is overjoyed to have Gandhi around to guide him. However, his happiness is cut short when he realizes that he was only hallucinating and there was no friendly spirit guiding him. The film tries to emphasis that there is a Gandhi in all of us and that we can achieve with love and compassion what we cannot get through violence. Munna realizes this and sets out on a journey to help the people of his city, listening to their problems as a radio jockey and solving them through ‘Gandhigiri’. In spite of the poignancy of the subject the film is a roller coaster ride of laughter and not preachy or boring at any point. Gandhi My Father (2007) : "To the people he was a father. To his son he was a father he never had". This is the controversial tag line of the film that explores the strained relationship of Gandhi with his eldest son, Harilal. Perhaps one of the most underrated films of the Indian film industry, Gandhi My Father is an extremely moving and compelling narrative that deserved more than just the critical acclaim and awards it received. The film touched a subject not many dare to speak about. Based on Harilal Gandhi’s biography, the film documents the life of a young man whose identity gets lost in the monumental shadow of his father. The film is a must watch for Akshay Khanna’s moving performance as the bereft and lonely son who is unable to please his great father and loses his sanity because of the pressure of living upto the great family name.